“We are now working to get water supply normalised to the areas that were affected. WAF is now in the process of re-pressurising the high-pressure pipeline from the Vaturu Dam to the Nagado Water Treatment Plant in order to restore the full capacity of what is being received at the water treatment plant,” WAF general manager customer services and acting general manager operations Sekove Uluinayau said. Residents in Nadi and Lautoka can expect normal water supply by 6am today, says an official from the Water Authority of Fiji. This comes after urgent repair works carried out by the WAF to the major water leakage along the Vaturu-Nagado high-pressure pipeline were conducted and completed as scheduled. Water supply is expected to be normal by 6am today. WAF Board director Kamal Gounder said the works were completed by 4am yesterday morning. “The WAF crew members started off their work along Vaturu by de-watering the high-pressure pipeline from the Vaturu Dam to the Nagado Water Treatment Plant. 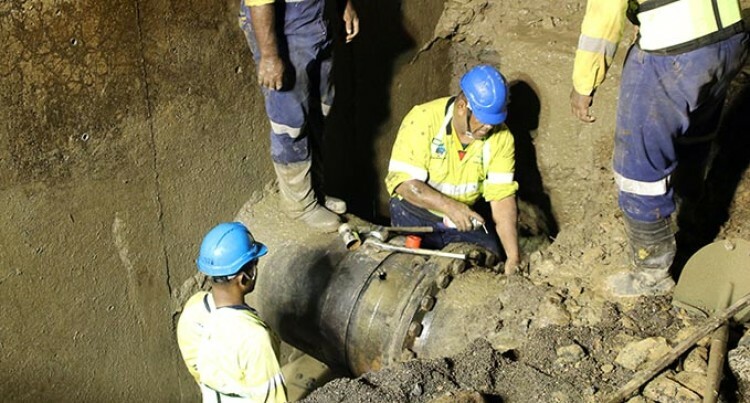 They were also able to isolate the leakage point to conduct the repairs without causing any major disruption to the Nadi and Lautoka customers,” Mr Gounder said. Meanwhile, customers are to contact the authority’s National Contact Centre on toll-free shortcode 1507 or email waterhelp@waf.com.fj for water carting assistance.